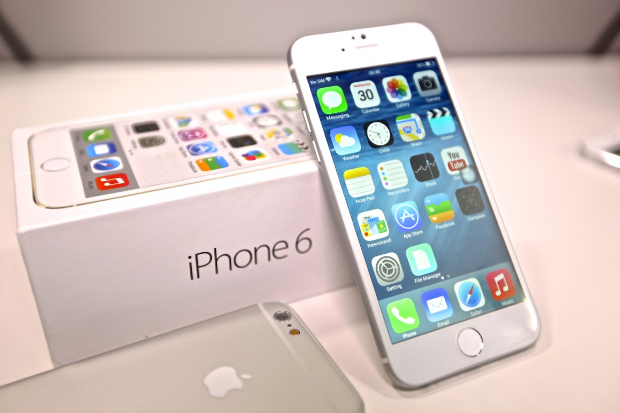 The #iPhone 6 is a giant leap from the usual phone design of the company. Released in 2014, this is the first model that #Apple has made that has a large 4.7 inch display which is a significant increase from the 4 inch display of its previously released model. Its Retina display with a resolution of 750 x 1334 pixels makes photos and videos stand out. There are however instances when display related problems can occur on this phone. We will take a look at two of these problems today which our readers are experiencing. In this installment of our troubleshooting series we will tackle the iPhone 6 screen is black but phone can be detected by iTunes issue. Problem: I had my iPhone 6 screen replaced a few months ago. Just the other day everything was fine with my phone, then all of a sudden the screen had a vertical black strip covering up part of it, a few hours later the whole screen was black but the phone was still on, and when I woke up the next morning the phone was dead and wouldn’t turn on. The only thing it has done since then is rhythmically vibrate or chime every 5 seconds when plugged into the charger. It registers on iTunes, so I can still pull information from it and iTunes shows the percentage charge and that the phone will very slowly charge. I was wondering if you would mind just giving me an idea of what you might think is wrong. I did a quick check of the 4 circuits connecting the screen to the rest of the phone and they are intact, but I don’t know what else I could troubleshoot besides this. Thanks for any information you can give me. Solution: The most likely reason why this is happening is that the display could be damaged. Since this is a replacement screen then this is where you have to concentrate the troubleshooting first. The best way to proceed in this case is to have the screen replaced. If replacing the screen has no effect then this could already be a board related problem caused by a faulty display driver. Problem: Earlier today every time i would go to open snapchat it would close down and my screen would go black and the phone would restart. After a few times i deleted the app and reinstalled it.. then my phone worked fine for a few hours. Then i went to google something and chrome shut down and my phone restarted. so i tried to open chrome again and the app went a little greyish. and my whole phone was frozen so i restarted it by holding down the home button and the lock button. when it restarted you have to type your password in and then once the phone goes to unlock the screen turns black, blue, or purple with a faint apple logo and then it restarts and the same thing keeps happening. I tried to get my pictures off my phone and onto my laptop but you can’t do it with your phone locked. And the same thing with trying to do a factory reset. Itunes won’t let you do anything with the phone locked. I do have applecare so i don’t know if this issue would be covered under that. Solution: Since you are unable to restore the phone software due to the phone restarting on its own you could have this checked at the nearest Apple Store. One troubleshooting step that you need to do though is to connect your phone to its charger. Wait for 20 minutes then try to turn on the phone. If the issue disappears then you should backup your phone data then attempt to restore the phone as a new device.